Graphic size: 48"W x 69" to 92"H (with a 6" bleed on bottom). TRAVEL BAG INCLUDED (51 ½” x 12" x 4"). 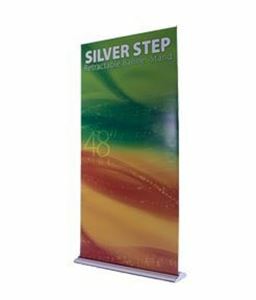 Download PDF Template Silver Step Retractable Banner Stand 48"